Kruger Law was born in 1990, as an expert legal firm, specialising in John’s strengths of Property, Commercial, Elder & Estate Law. Kruger Law’s reputation is formed on the quality of its customised legal solutions and no-nonsense advice. John is a passionate, dedicated Solicitor, with out-of-the-box thinking: defying the traditional ‘one size fits all’ approach. John has volunteered as a Director of the Buderim Foundation and a committee member of 7 Sunshine Coast Marathon. Born & raised on the Sunshine Coast, Trent worked as a Registered Nurse before beginning his legal career in 2005. 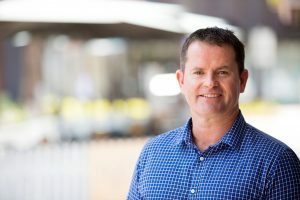 Active in the community and sporting arenas, Trent volunteers for a number of organisations, including the Sunshine Coast Law Association (Vice President), Sunshine Coast Gympie Rugby League (Board Member), Buddina School Council, USC External Advisory Committee and Neighbourhood Watch Bokarina. Trent is married to Sarah and has three children, Coby, Hayley and Jake. 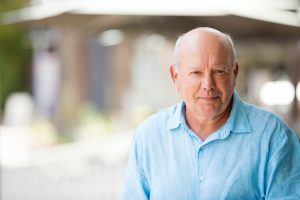 Trent is a Sessional Lecturer at University of Sunshine Coast in Elder Law & Succession, and is a Queensland Law Society Elder Law Committee member. Contact us to find out more or to arrange a consultation with an experienced lawyer on the Sunshine Coast.